I live in the small city of Burlington Vermont in the United States. Most every day I walk through the city’s main public square known by its street name, Church Street. A public street that has been semi-privatized, the street is often the center of a struggle between citizens and private interests over the nature of the public square. Battles over the rights of street performers, political activists, panhandlers and regular citizens that want to hang out without shopping are frequent. Thanks to quick public reaction from these groups and others, most efforts by merchants and politicians to further privatize the street have been beaten back. Yet, the space is more tightly controlled than downtowns in other similar sized cities that I have visited. In what might seem a contradiction, it is also more vibrant than many cities both larger and smaller. One might attribute this latter fact to the so-called nature of Vermont itself; a nature that considers democratic engagement a valued part of human existence. Alternatively, one could attribute the lesser vibrancy of other downtowns to the lack of such a democratic consciousness. Many writers have exposed the role architecture plays in controlling public space. Mike Davis discusses how cities have installed public benches designed to discourage sleeping and fenced in public parks. Israeli architect Eyal Weizman has studied the nature of control implicit in Israel’s design of its cities, settlements and highways. Fictionally, China Mieville’s The City and the City is a riveting tale of a future place strikingly reminiscent of today’s occupied Palestine. Most recently, economist and critic David Harvey has contributed a refreshingly new look at the nature of the modern city and, more importantly, why they need to be wrested back from the neoliberal corporate megalith currently trying to buy the world. Harvey, who has lived in Baltimore, Maryland for the past several decades, places the modern city’s economic role directly in the center of capital’s creation and consumption of surplus. He discusses the claim that cites are the product of the proletarianization of the rural peasantry, pointing to industrial revolutions of the past and the current movement of populations in nations such as China and India from the countryside to existing urban areas and new economic zones created by international capitalism. 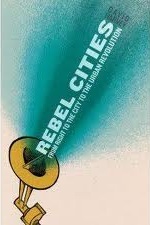 Furthermore, his text, titled Rebel Cities, provides a look at the growth of so-called shantytowns on the outskirts of some of the world’s largest population centers. These shantytowns are often the focus of raids by military and police forces intent on making it easier for bulldozers behind them to destroy the structures found there. In certain instances, however, the authorities have conceded to the citizens of these shantytowns and given them rights to their homes. It is from these shantytowns that we can gain inspiration. The people who live in such areas are considered surplus in the world of monopoly capitalism. They have no rights as far as the stock exchanges and bourses of the world are concerned. Yet, because they refuse to accede to this characterization, they will struggle to maintain their shelter, their communities and their human dignity. Like their historical predecessors in the Paris Commune of 1871, this population is determined to make the city a popular and democratic human organism. They are joined by those around the world who in the past couple of years have occupied city squares and parks and demanded a reconceptualization of the city, more democratic control of the urban space, and a reconsideration of who constitutes the working class and, subsequently, who will make the anti-capitalist revolution. Harvey insists that the only genuine anticapitalist struggle is one with the goal of destroying the existing class relationship. Such a struggle cannot be waged by separating workplace issues from those of the community. Pointing to the classic film The Salt Of the Earth as an example of how the latter scenario might occur, Harvey suggests that the union must view the world of working people as an organic whole. Utility access and costs are workplace issues; childcare and education are too. Affordable housing and food costs are more than secondary concerns. Their role as a means for the capitalist system to take back wages describes their existence as a means for that system to maintain its control on working people. Debt peonage, whether incurred via education and vehicle loans in the advanced capitalist world or incurred via a micro-loan program in the developing nations, is still debt peonage. The increasing cost of post-secondary education throughout the world and the mortgage crisis are both tools of the neoliberal regime to continue the upward motion of capital. This is a radical book. Its discussion ranges from the workings of the monopoly rent system and the nature of neoliberal capitalism to a call to take back the city. History is combined with economics and a call for serious struggle. With the Paris Commune as his inspiration, David Harvey discusses the positive and negative aspects of the Occupy movement, the squatters’ movements and allied struggles. He presents their historical precedents and he warns against essentially conservative attempts to manipulate such movements into supporting the existing economic reality. He further opines that cooptation by parliamentary elements are proof of these movements success, not their failure. Fundamental to all of this is Harvey’s radical definition of the city as the wellspring of capitalist oppression and also the foundation of resistance to that oppression. This article was posted on Monday, May 21st, 2012 at 8:00am and is filed under Book Review, Capitalism, Classism, Democrats, Environment, History, Housing/Homelessness, Neoliberalism, Privatization, Resistance.